You'll outshine your peers and turn heads in this truly stunning statement necklace available at Urban Outfitters! 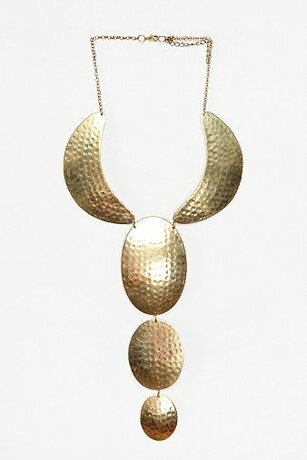 The textured and hammered metals of the Pinamar Metal Beach Necklace create for sculptural forms that will give your outfit an artisanal luxe look! Try it on here, at ViewTry!